The Dominican weather in January is typically a little cooler than most Caribbean destinations due to the Island's slightly more northerly latitude. 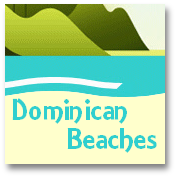 During January in the Dominican Republic daily temperatures tend to vary from about 70 degrees F (21 Centigrade) to around 82 degrees F (27.8 Centigrade). Making this one of the most pleasant times to enjoy both a lovely temperate climate and the fact that it is a little less stifling than the full summer heat can sometimes be. We absolutely love January, and the spring season in the Dominican Republic. If we are traveling or living elsewhere then January through March would be our favorite time to try to get back and visit Santo Domingo. This balmy warmth is ideal, we think, for almost everyone and certainly for that 'dose' of winter sunshine to invigorate the spirit and boost the Vitamin D levels!! This Dominican January weather ins increasingly proving a magnet for those seeking the perfect New Year's early vacation, for virtually guaranteed daily good weather and perfect warmth. Typically the peak daytime heat will be around 82F (27.8C) and at night-time this can drop to a comfortable, yet still warm, 70F (21C) -- many would call perfect. Statistics indicate a monthly rainfall in January in the DR of about 2.2 inches. The rain in the Dominican Republic in January, if any, may typically falls during the early evening say 17.00hr, for a brief intense period. 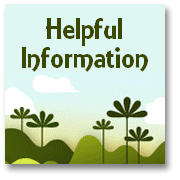 And if there are any thunderstorms, always a possibility in tropical climes, they usually pass swiftly during the early night-time -- between 20.00-21.00hr. In point of fact there are no expected 'days of rain' in the Dominican Republic in January -- but there may be just enough precipitation to keep the place green and luscious yet beautifully dry for daytime enjoyment! 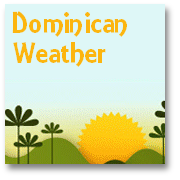 So, the January weather in the Dominican Republic normally sees the typical day, start start close to 70F (21C) and steadily warm through the progress of the day to an afternoon peak average of almost 83F (28C). The temperature begins to cool a little so that you can sip your "Rum and Cola", or enjoy an evening meal al fresco with barely the need for more than a light sweater in temperatures of around 75F (24C). 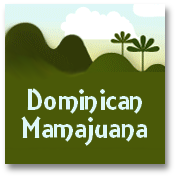 This all means that the daily temperature for Dominican weather January time is therefore, on average, between 75/76F or 25C. Or, in our estimation, just perfect! 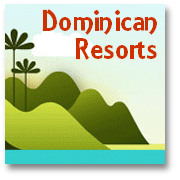 Read more about Dominican Resorts.